Pain that appears on one side is typically caused by inflamed tonsils, lymph nodes and lymphatic tissue. This can be caused by particles becoming caught and inflamed in this tissue or a bacterial or viral infection. A sore throat can be caused by a localized infection that may cause only one side of the throat to become inflamed. A variety of conditions can cause this type of infection, each with a slightly varied set of symptoms. The tonsils at the back of your throat help the body fight infection, but they are also at risk for developing an infection. If virus or bacteria start to impact the tonsils they can become inflamed and uncomfortable, leading to pain in one side of throat. Tonsillitis will cause sore throat and swelling of the tonsils. The tonsils may appear red or have yellow or white patches of pus on them. You may experience swollen glands around the jaw and neck, trouble swallowing, loss of appetite, ear pain or pain when swallowing. Bacteria such as streptococcus bacteria can cause tonsillitis. Vital infections including the rhinovirus, adenovirus, influenza virus, parainfluenza virus, Epstein - Barr virus or enterovirus can also cause this infection. If your infection is caused by bacteria your doctor will prescribe antibiotics, but these will be ineffective on a viral infection. Take over the counter pain relievers to reduce your symptoms. Eating smooth foods that are very cold or warm can help reduce the pain. Using a cool mist vaporizer, sucking on lozenges or gargling with salt water can also provide relief. For more home remedies for tonsillitis, see the video below. Pharyngitis refers to a sore throat which may include scratchiness, discomfort or difficulty swallowing. This may refer to a number of conditions that cause a similar set of symptoms. This condition often spreads between families and is more common during months where cold weather is present. 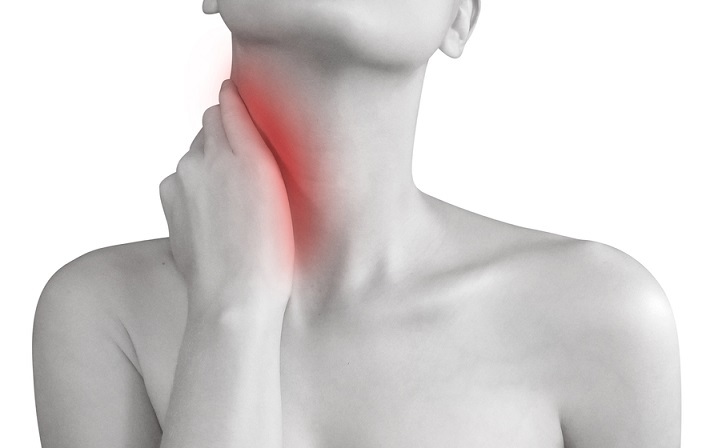 Symptoms of pharyngitis include skin rash, headache, fever, swollen lymph nodes around the neck, muscle aches or joint pain as well as pain in one side of throat. Pharyngitis refers to inflammation of the pharynx or voice box in the back of the throat. This is often caused by a viral infection such as the flu, but some specific types of bacteria can also contribute to this condition. This may include bacteria such as streptococcus, gonorrhea, corynebacterium or chlamydia. Gargle with salt water several times a day and sip warm liquids such as tea with honey or lemon. Cold drinks can also numb the pain. Sucking on popsicles, lozenges or hard candies may also lessen discomfort, though take care when providing these items to small children as they can be a choking hazard. Some over the counter medications like acetaminophen can be helpful in reducing symptoms. Running a cool mist vaporizer can also be helpful as dry air can contribute to symptoms. Strep throat is an infection that can make the throat feel scratchy or sore. Diagnosing this condition right away is vital as it can cause additional complications such as rheumatic fever or kidney inflammation. Strep is more common between ages 5-15, though anyone may contract this illness. Symptoms of strep throat include rash, red or swollen tonsils that may include white patches or streaks. Difficulty swallowing, swollen or tender lymph nodes, fatigue also appear. Small red spots appear on the roof of the mouth. Stomach aches which may include vomiting. Strep throat is caused by the streptococcus pyogenes bacteria. This bacteria is very contagious and is spread through sharing food and drinks, coughing or sneezing when infected. This sends droplets containing the virus airborne where they can be inhaled by others. Streptococcal bacteria can also live on doorknobs or surfaces where they can be picked up. If you have traces of the virus on your hands and then touch your eyes, nose or mouth it can cause an infection. In most cases your doctor will prescribe antibiotics that will manage your pain in one side of throat and other symptoms right away. Gargle with warm salt water several times each day to reduce the pain. Drinking plenty of water and using a humidifier to keep your throat moist is also essential. Get plenty of rest to give your body a chance to fight the infection. Eat soothing foods like soft fruits, cooked cereal, applesauce or soft cooked eggs. Pureeing foods and avoiding acidic or spicy foods can help to prevent discomfort. Avoid irritants like cleaning products or paint fumes that can also make your throat uncomfortable. If your child is suffering from strep throat, they should be kept home from school for at least 24 hours to prevent spreading this disease further. Plan low key activities that will keep your child occupied without overwhelming them while their body heals. What Causes the Nasty Smell Within My Nose?